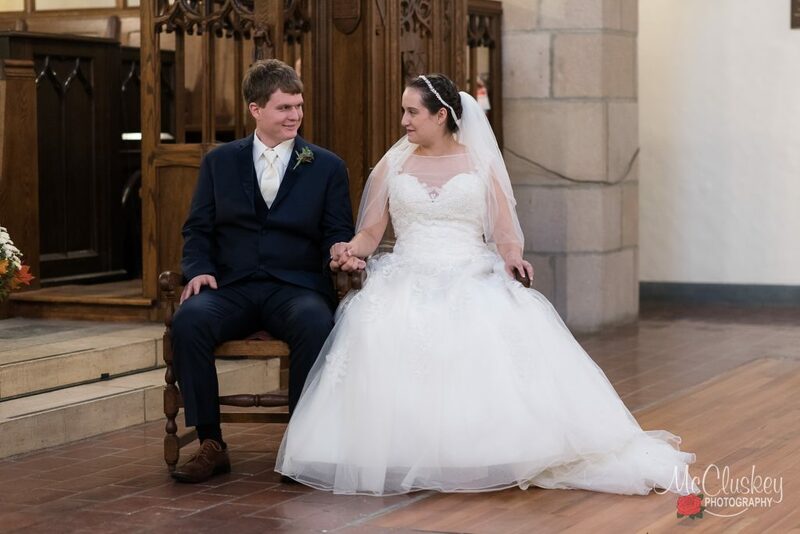 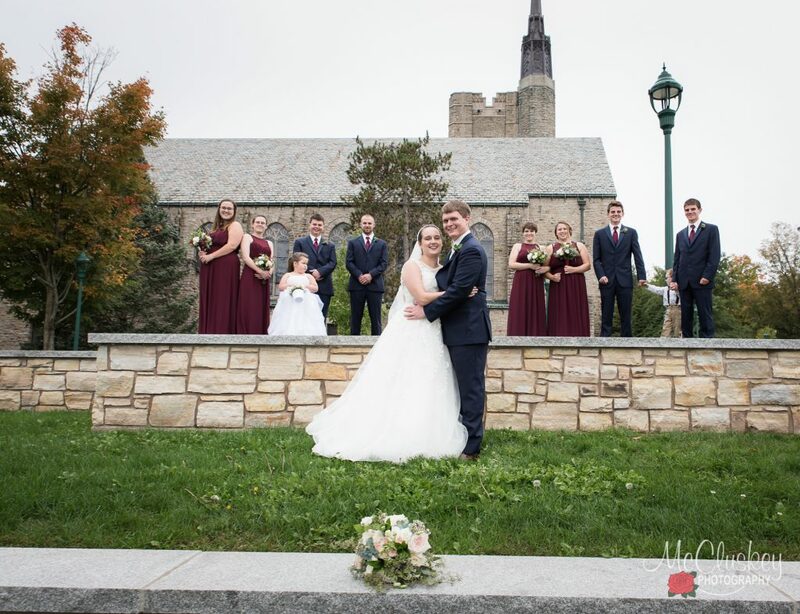 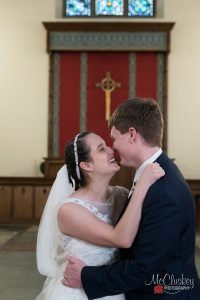 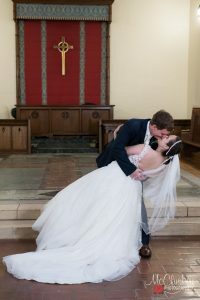 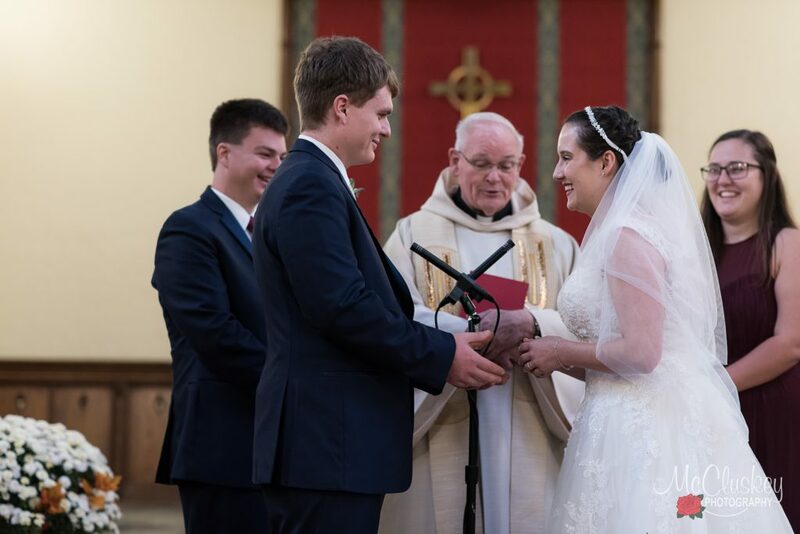 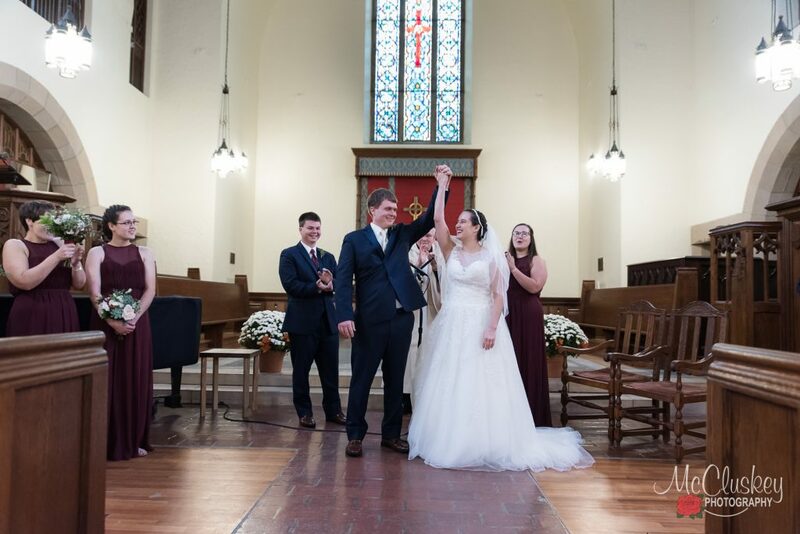 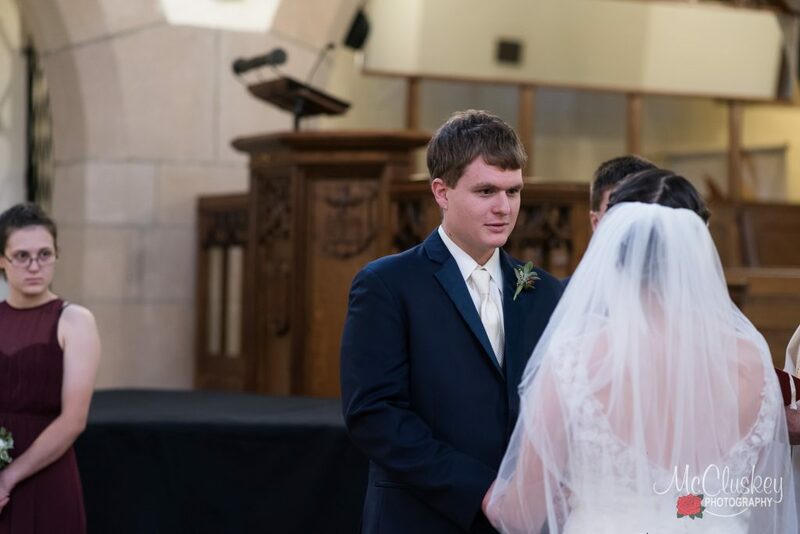 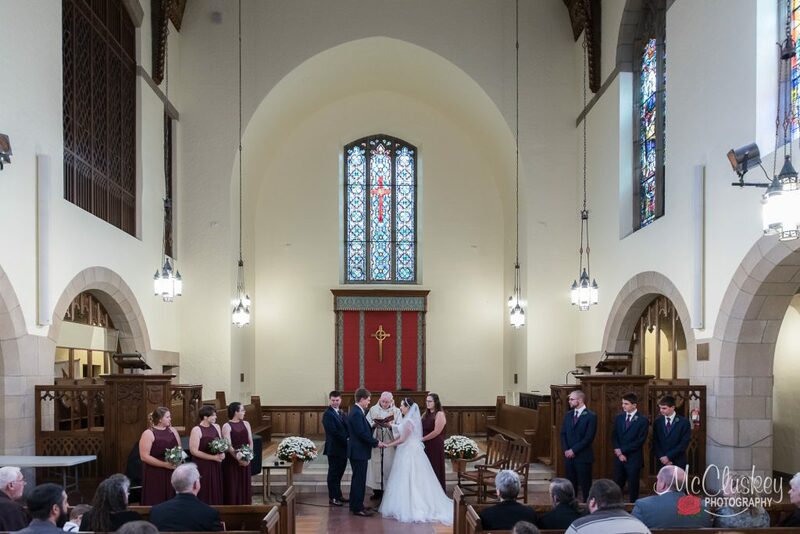 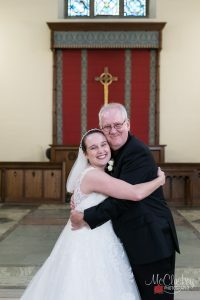 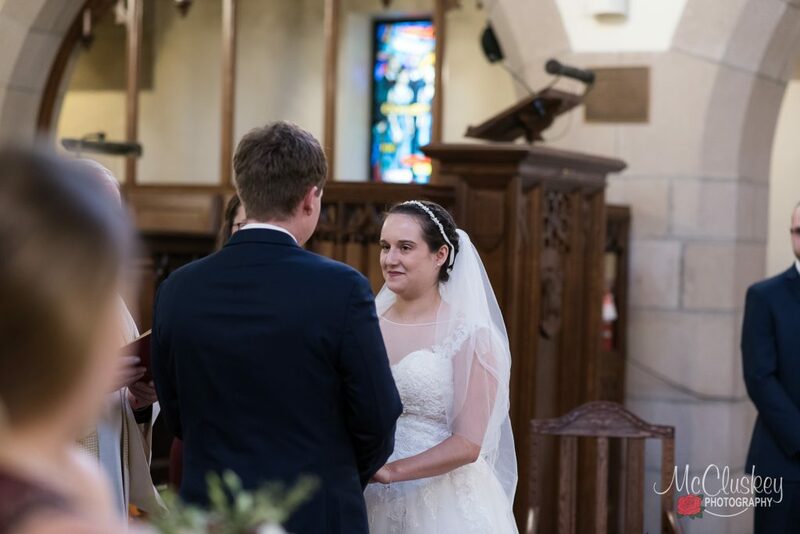 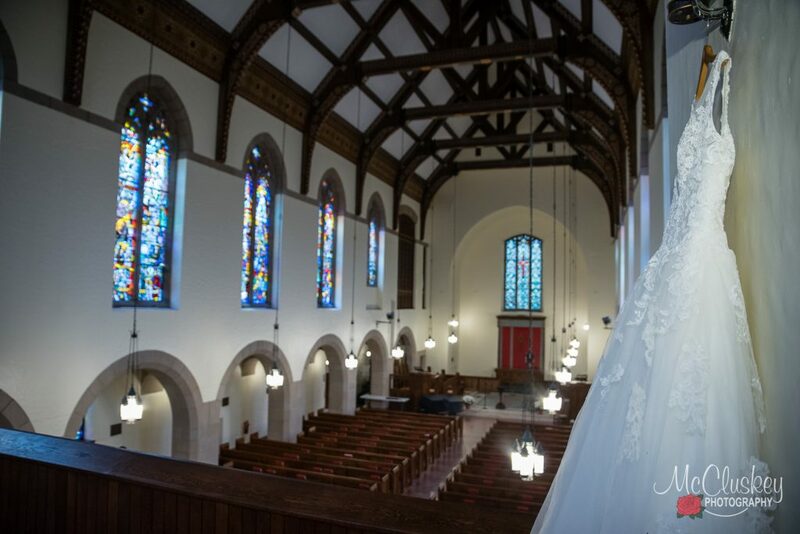 Hunter and Mackenzie were so fun to work with as the photographer for their wedding ceremony at Gunnison Chapel at St. Lawrence University in Canton, NY. 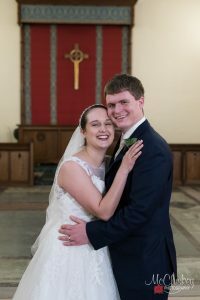 They are recent SLU alums and were excited to return to campus to have their wedding at Gunnison, which is one of my favorite wedding venues to photograph at. 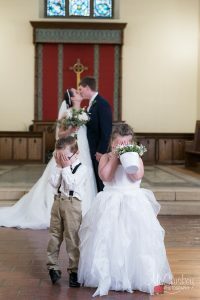 I am so glad they chose me as their photographer! 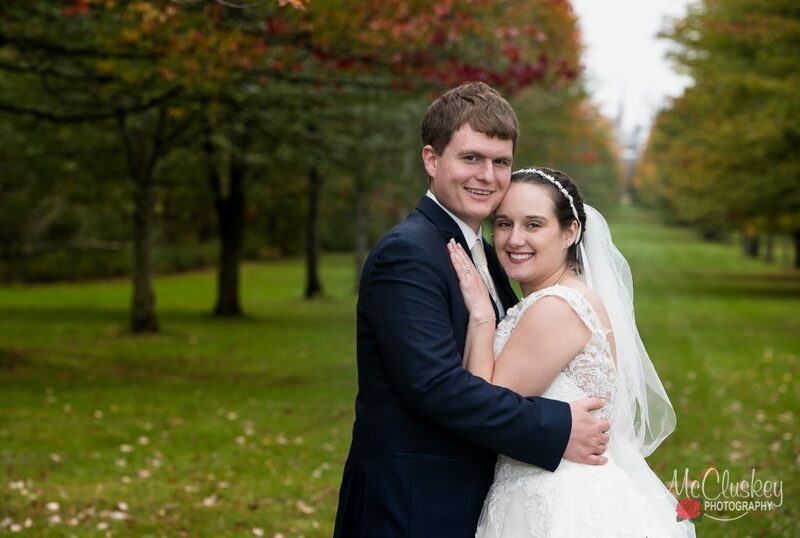 Despite the rain we had a fun day, and were even able to get outside briefly for some fall foliage photographs. 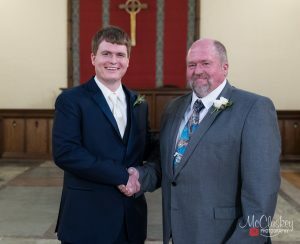 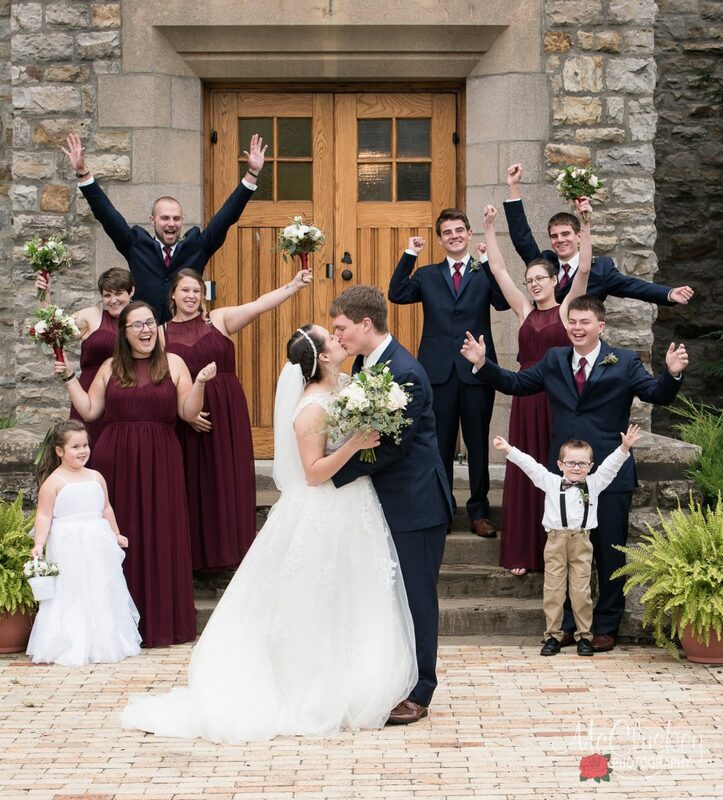 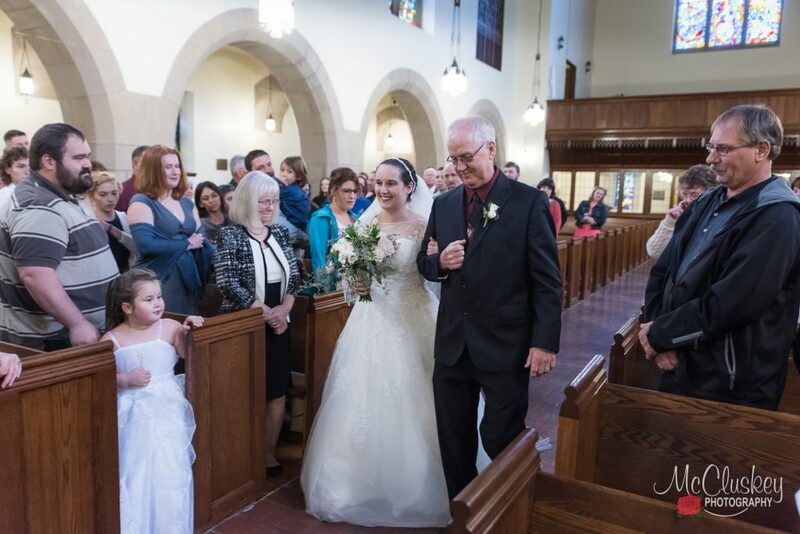 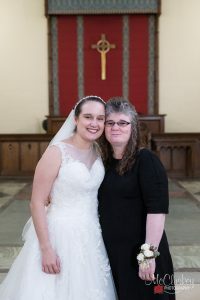 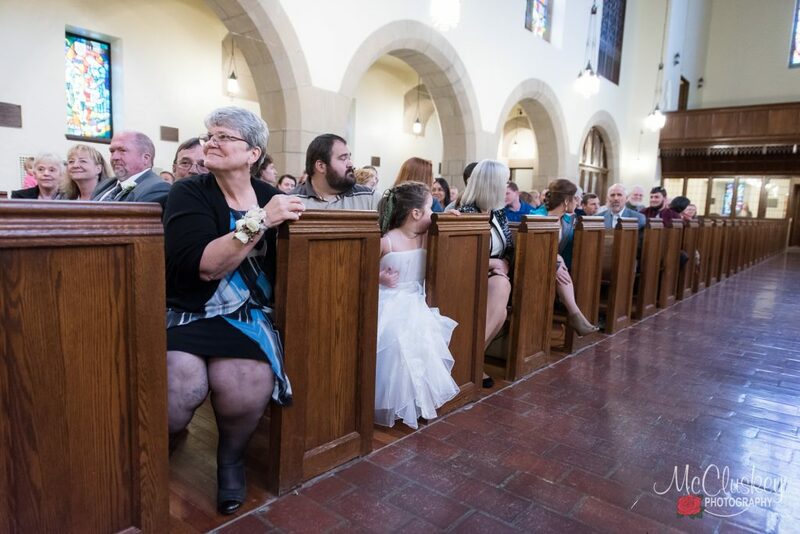 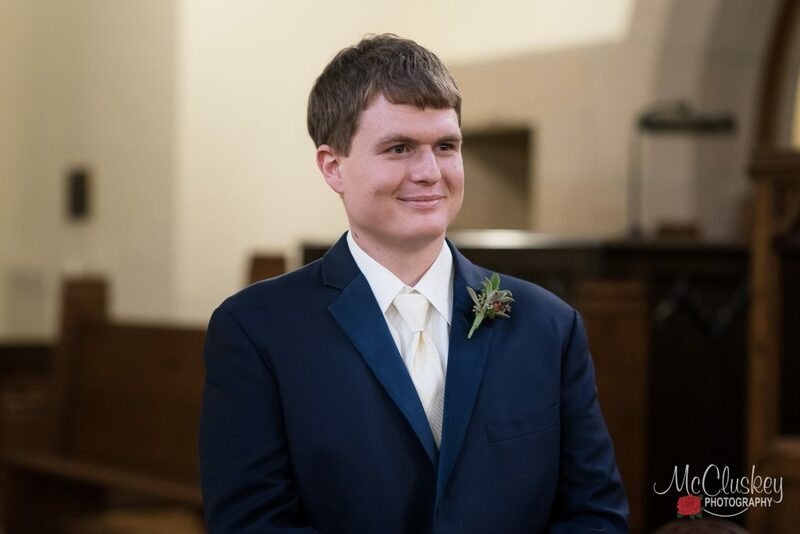 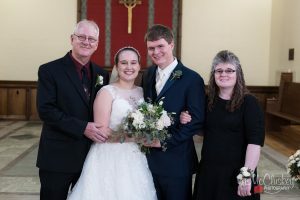 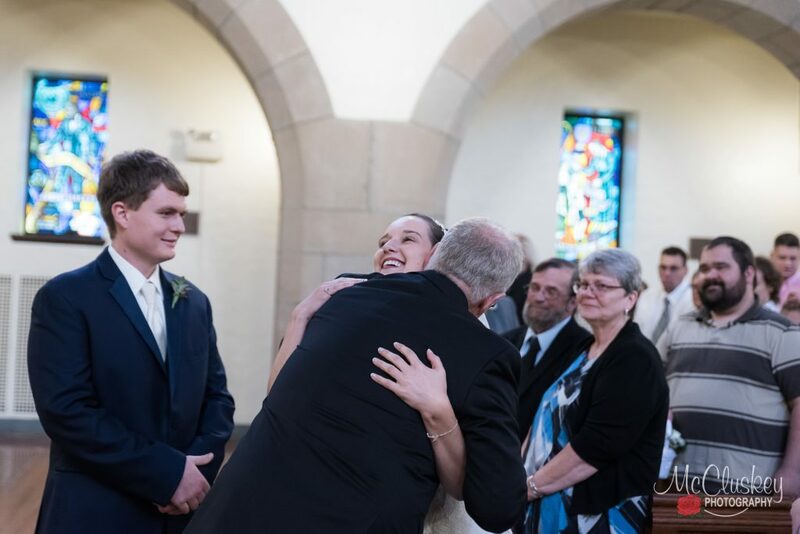 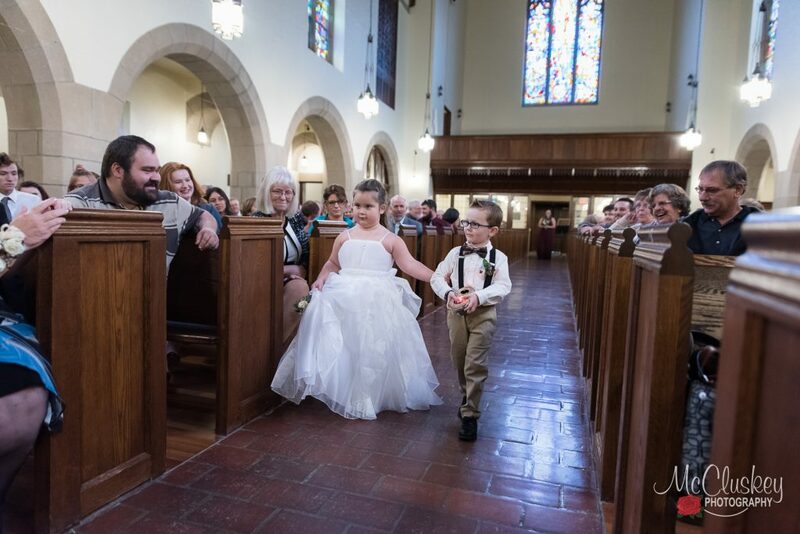 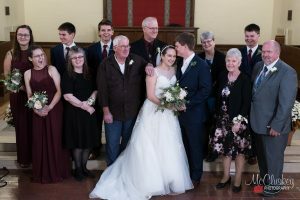 I thought the kids were so cute walking down the aisle, and I loved how while everyone else was watching for Mackenzie, Hunter's mom and his family were looking at him with such joy. 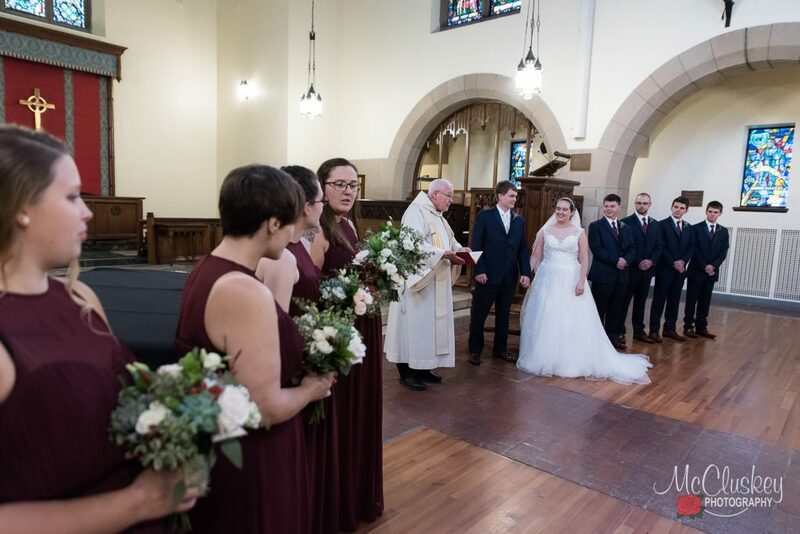 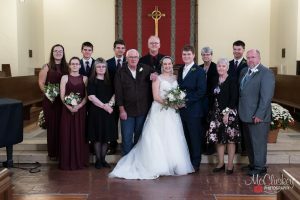 They were so excited to be married they almost left before the ceremony was over 🙂 The priest was able to get them back for the final prayer though, and then we took some family photographs at the altar area of the chapel. 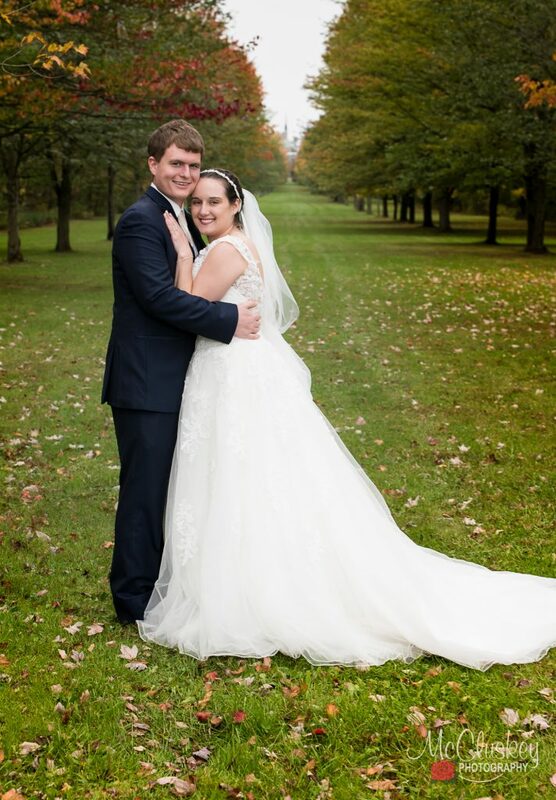 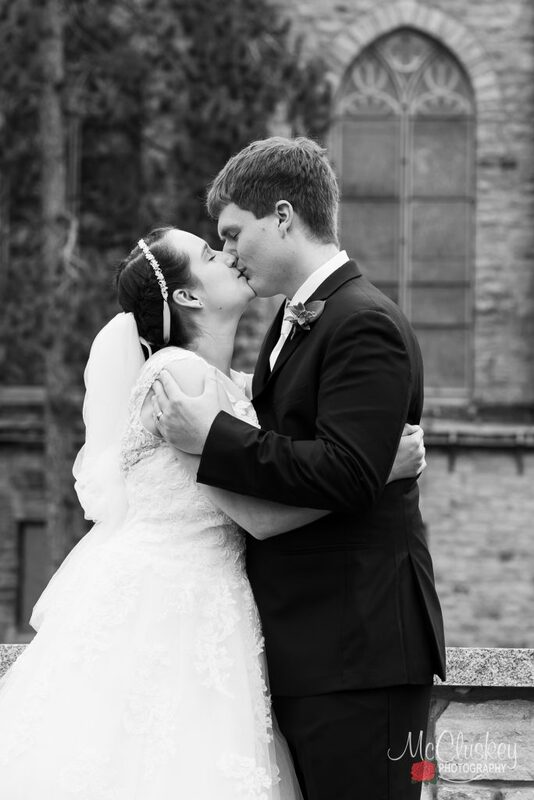 We had a break in the rain so went outside around St. Lawrence University's campus for some wedding party and couples photographs, and headed over to the Avenue of Elms. 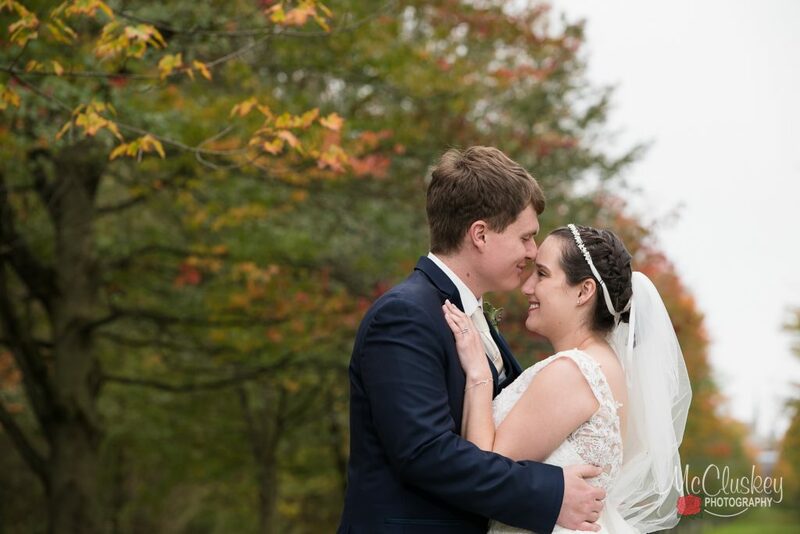 Just got the last picture in when the rain started up again!